This was a classy event put on by the Australian Society of Authors to celebrate the fifth annual Barbara Jefferis Award. Anne Summers gave a rousing speech. Anna Funder won for her novel All That I Am. Congratulations Anna. 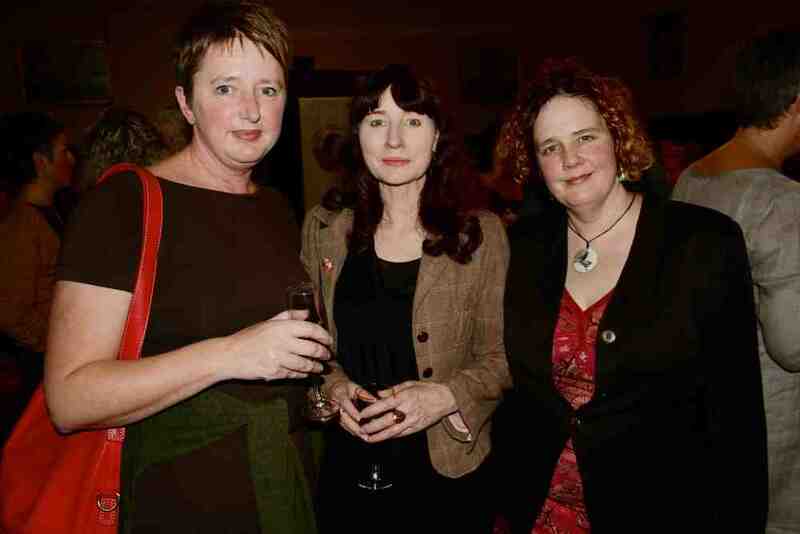 Three shortlistees attended the BJA Award ceremony: Georgia Blain, Gail Jones and me. I hadn’t met Georgia or Gail before and it was such a pleasure to talk to them. We ended up standing together as the award was announced; we could have been seen as competitors but I felt so much support. My lovely agent, Selwa Anthony, also came to show her support. Thank you, Selwa. Margo Lanagan was there too and it was lovely talking to her and to Sophie Masson, the head of the ASA, and to Derek from Better Read Than Dead books in Newtown. From L to R below: Georgia Blain, Gail Jones, me.